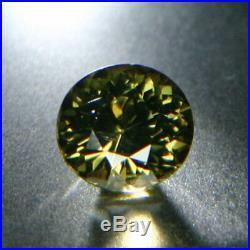 Weight in carats: 3.11 Color: Valued Saturated Yellowish Green Clarity: Slightly Included Cutting: Faceted; Crown Brilliant, Pavilion Mixed Shape: Oval Measurements mm: Length 9.11, Width 8.44, Depth 6.40 Quality of cut: Very Good Treatments: Untreated / No Enhancements. Provenance: From rare gemstone expert Mr. Complimentary Certificate of Authenticity Full Gem Identification Report GIR #2141. 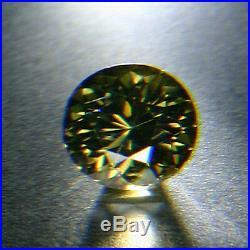 The item "Saturated Green FINE KORNERUPINE 3.11 carats Ex. 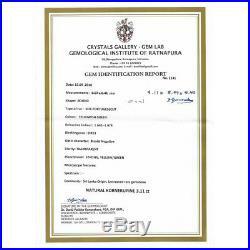 Gunasekara GIR CERTIFICATE" is in sale since Thursday, August 2, 2018. This item is in the category "Jewelry & Watches\Loose Diamonds & Gemstones\Loose Gemstones\Kornerupine". The seller is "www.cvs.fi" and is located in Helsinki.